The Hub New Mills High Peak was established in 2011. Our aim is to provide top quality treatments in a warm friendly atmosphere at realistic prices. We offer a large range of professional treatment for all sexes and age groups. At The Hub New Mills we are trained to higher standards/qualifications then the average beauty salon with all the treatments we offer. We are fully trained and insured for each and every treatment. We are continually seeking out the latest result giving treatments in the beauty industry. Bringing you aesthetic treatments other salons in the area are unable to offer you. We can all do a facial but at the Hub we deliver you with results that will be seen for weeks to come, that will help rejuvenate the skin reduce wrinkles and fine lines on the face, neck, hands and body, improvement in overall skin tone and texture, Skin tightening, reduced pore size, calms Rosacea, scar and wound healing, reduces appearance of stretch marks. scalp vitality & hair growth. We offer you natural treatments Such as Microneedling, Fibroblast/ Plasma HIFU and chemical peels. These treatments cause superficial damage where the skin responds by healing creating new elastins and collegens that rise to the surface and creates less wrinkles and fine lines on the face, neck, hands and body, with improvement in overall skin tone and texture. We are also able to provide Dermal Fillers and Anti-Aging injections for those wanting quicker results. Offers professional foot care. 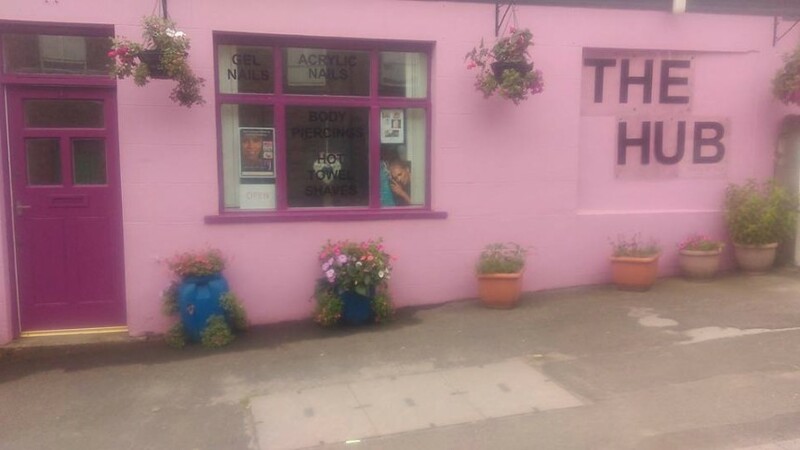 I am fully trained in nail cutting, corn and callus removal, in-growing nail and nail reduction treatments, fungal nail and verrucae treatment as well as Orthotics, (please do not be embarrassed about your feet. 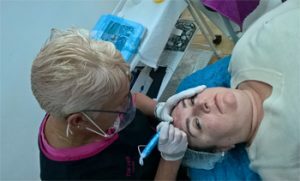 I have a passion about the work I do and get great satisfaction with the results I deliver) Caroline is also a trained Body Piercer and is fully licensed with High Peak Borough Council. Caroline has Diplomas in Swedish, Cupping and Deep Tissue Massage, Waxing and Tinting, Plasma/Fibroblast Treatments, Dermaplaning, Microdermabrasion and Lash Lifting. Micro Needling, Acid peels Caroline is also has qualified Clinical Hypnotherapist in which she has a Diploma. Ann has recently joined the team of holistic therapists at The Hub-New Mills. Ann is trained in sports therapy massage level 3 and is available for consultations and massage every Sunday and Monday. And after 4 pm most days. Over the next twelve months, Ann is excited to enrol on other training, to include dry needling, which can help to relieve pain and inflamed muscles, as well as release areas of tension. She willbe offering hot cupping, which can compliment a sports therapy massage and assist with myofascial release. Ann has always had an interest in massage, but it is only recently that she has gained her status in sports therapy massage level 3. Ann is keen to work with clients who wish to seek support and advice regarding problems with sporting injuries and non-sporting injuries. Ann is friendly, approachable and understands the benefits of massage, as a way of naturally helping to heal the body. For most people, nothing feels better than a good massage to help dispel pain and assist with re-gaining range of movement in muscles. Ann has recently trained as a sports massage therapist and is up to date with all the latest techniques to be able to deliver the massage you require be it from sports related injuries to regular maintenance massage to improve your sports performance and help reduce the risk of injury. Ann also offers Deep tissue. Swedish and relaxing massage and is currently training in Dry needling and is also enrolled in a cupping course. Ann is fully aware of the wellness that massage can bring to the body and the mind and gets satisfaction from the results she delivers, Ann has a passion for massage and delivering results. My training has been extensive and provided by one of the oldest chiropody/foot health teaching institutes in the UK. I qualified as a Foot Health Practitioner with the SMAE Institute in Maidenhead, which has been teaching for no less than 91 years. My clinical training was delivered by experienced chiropodists and podiatrists who have worked in both the NHS and private sectors. The Institute provides Continual Professional Development to keep their members up to date and I am in the process of studying biomechanics and orthotics. I am a member of the Open College of Foot Health Professionals (MCFHP) and a member of the British Association of Foot Health Professionals (MAFHP). I am bound by their Code of Ethics and Rules of Association.